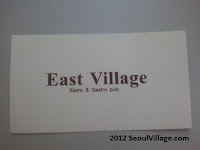 If you want Korean cuisine with a modern twist, you can try Itaewon's "East Village". East Village means the Hannam side of Itaewon, and a lower-to-mid-east Manhattan touch. And indeed, I was at the same time the only non-Korean customer this Saturday evening, and feeling more in NYC than in Seoul. In this part of main street Itaewon, you're neither in the Western "traditionnally international" end, nor in the Eastern "newly Gangnamized" end (which definitely feels "Californian" to me). The restaurant is located a little before Cheil building when you come from the West, and in this more urban and less pretentious buffer zone, you'd almost expect to see front stoops along the sidewalk. Typically, there's a fun-looking place named "Hulk" where they serve simple Korean food in a basement, a perfect spot for non-chaebol local youth to get their invigorating fix. I guess East Village is targeting more demanding palates - and thicker wallets - who are tired of alternating between fine Western restaurants and prestigious hanjeongsik tables. 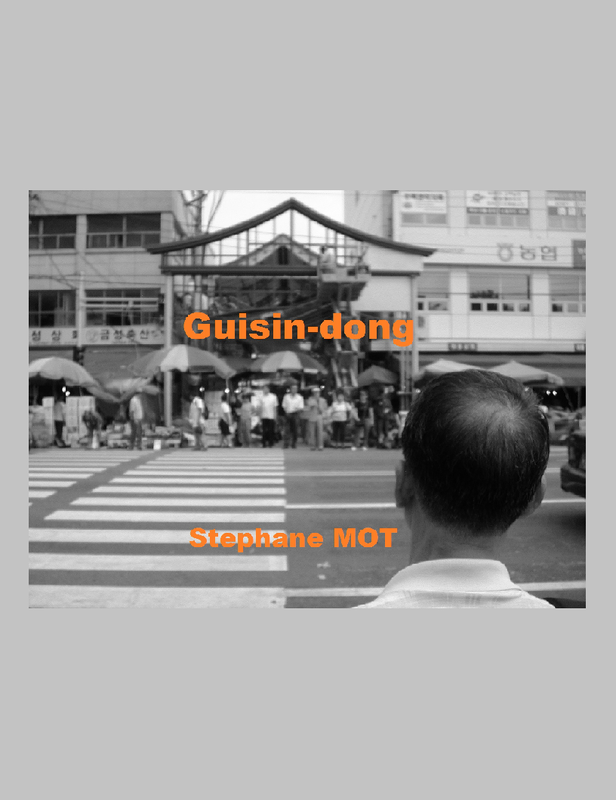 There is a need for modern high end Korean cuisine, and different ways to achieve this ambition. Where "The Gaon" pushed traditional Korean cuisine to perfection, "East Village" tries to instil new flavors or seasonings in the classics without denaturating them. Of course, the chef (a different Kwon than the Ed operating further eastwards at "The Spice"), doesn't always succeed in surprising us, and the main bemol would be the end of the meal: by no means a "dragon head, snake tail" experience, but the last dish and the dessert were not up to what came before. The mandu soup and green tea ice cream were good, but not to die for, and save for one caramelized walnut, not very very original. But by the time you reach that part you've already been satisfied, starting with a Hanwoo tartare in an endive leaf, fresh takes at Noryangjin's fishes of the day, or a Damyang style ddeok galbi. I'm happy to see this kind of ambition in a Korean restaurant, and even happier to see Korean patrons embrace it.